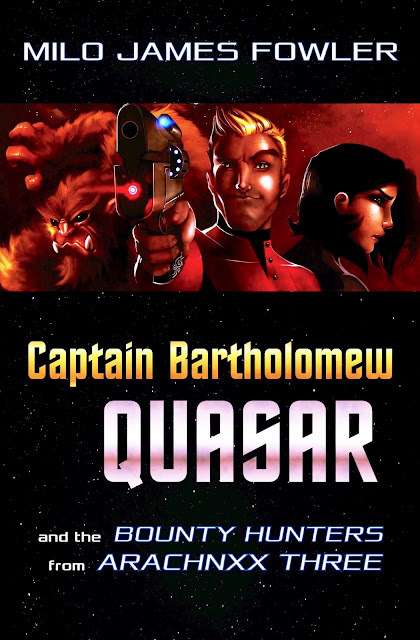 Captain Bartholomew Quasar and the crew of the Effervescent Magnitude are on their maiden voyage — and on the run from dangerous bounty hunters eager to collect a reward on the captain's head. Just when Quasar thinks he's escaped them, his ship is stranded in the middle of a heated civil war in an unknown corner of the galaxy. Quasar must rely on his wits, his charm, and his resilient crew in order to survive the ordeal that follows, culminating in an epic space battle where sworn enemies must join forces to repel an even greater threat. "Laugh-out-loud humor and gripping action"
"Reminiscent of Galaxy Quest and The Orville"
"Anyone who reads one should read them all"